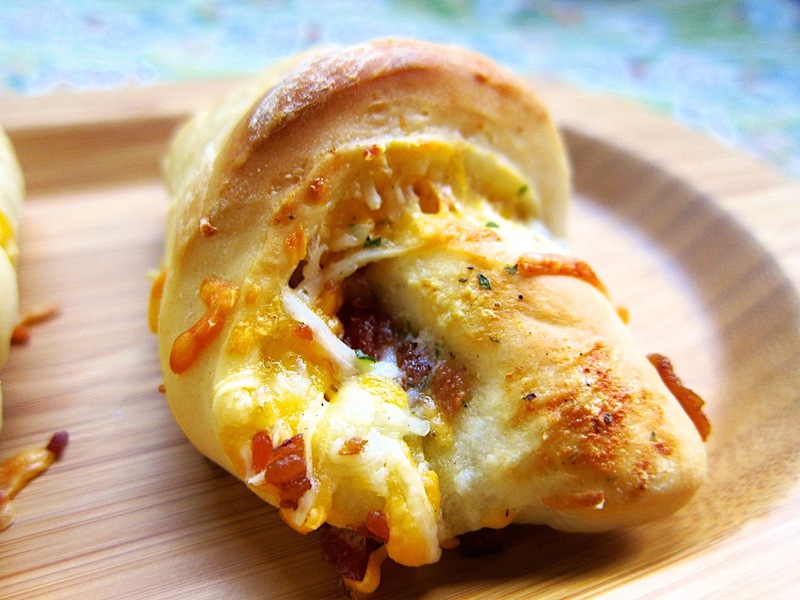 CRACK Crescents - Cheddar Bacon Ranch Crescents - frozen rolls stuffed with cheddar, bacon and ranch! OMG! These are to-die-for!!! Great for breakfast, side dish or an appetizer!!! Only 5 ingredients in this easy bread recipe. 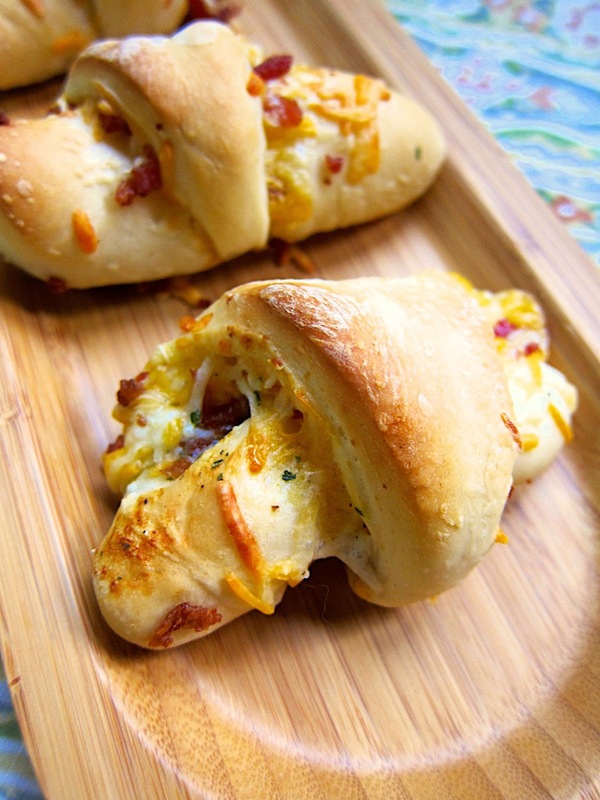 Today I am sharing a fantastic recipe - Bacon Cheese Crescents. These rolls are great for breakfast, a snack or even with dinner. They were simple to make and tasted fantastic!! If you follow my blog, you will recognize the flavor combination - it is what I refer to as "crack". Cheddar, bacon and ranch - so addicting!! These rolls are great for breakfast, a snack or even with dinner. I hope you enjoy these as much as we did! Combine 6 rolls and roll into a 10-inch circle. Repeat with other 6 rolls. Brush both circles with butter. Sprinkle with cheese, bacon and Ranch dressing mix. Cut each circle into 8 wedges.Starting with wide end, roll each wedge to point.Place point-side down on sprayed baking sheet. Cover with sprayed plastic wrap. Let rise 30-45 minutes. Remove wrap and bake at 350 for 15 minutes. A really good looking snack! Looks amazing Steph! Great post! Oh my gosh, what's not to love? Someone shared this recipe at Weekend Potluck and I followed her link to you! I love your site, your recipes look amazing and I would LOVE for you to come share at our Friday linky party: Weekend Potluck sometime!